All Aluminum Body Makes It a Very Light Weight Case! 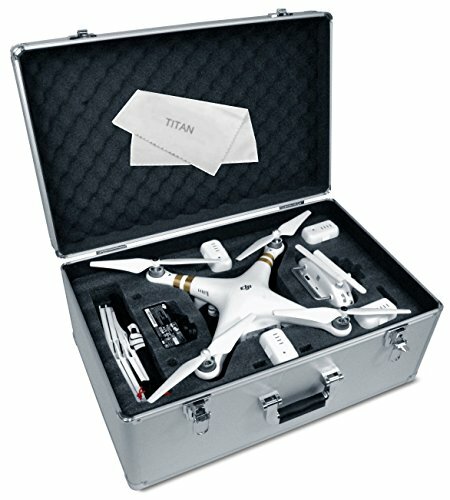 It is Tough Rugged, made to protect your Phantom Fits all DJI Phantom models and comes with locks on both sides of the handles. It has a spacious compartment for the propellers to fit at the bottom of the case. It is also compatible with all DJI Phantom Drone 1+2+3 Models/Series and has enough space to fit in the longer landing gears as well as Gimbal Camera Protector Landing Gear Crash Guard. – Fits All Phantom Models With Gears & The Props! – All Aluminum Body Makes It a Very Light Weight Case!